Below are pictures of teachers from both Bishop O’Dowd High School (Oakland, CA) and Sacred Heart Preparatory (Atherton, CA) who journeyed together to witness Romero’s Beatification. 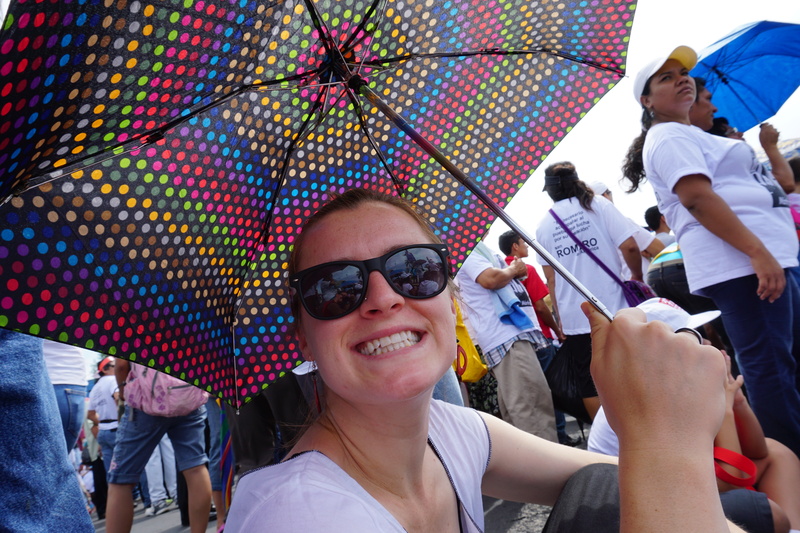 SHP’s Señora Emily Campos at Romero’s Beatification. 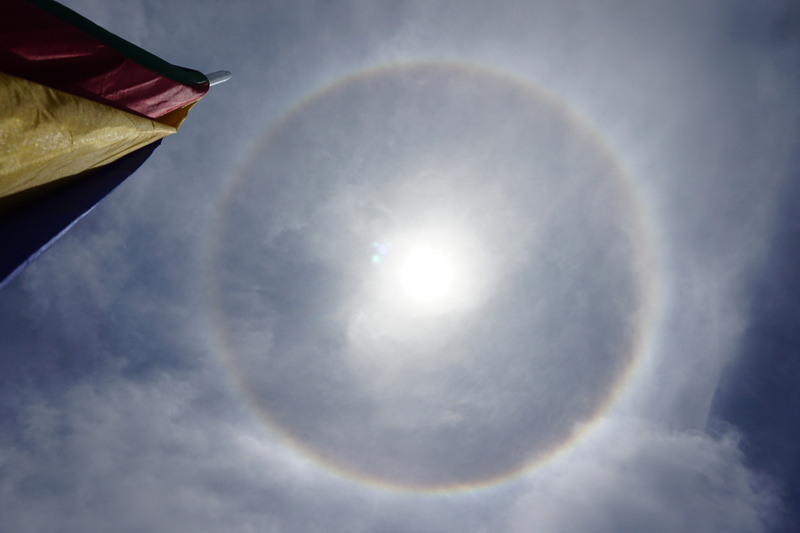 A breath-taking circular rainbow around the sun as Romero’s relic was being processed up to the altar. 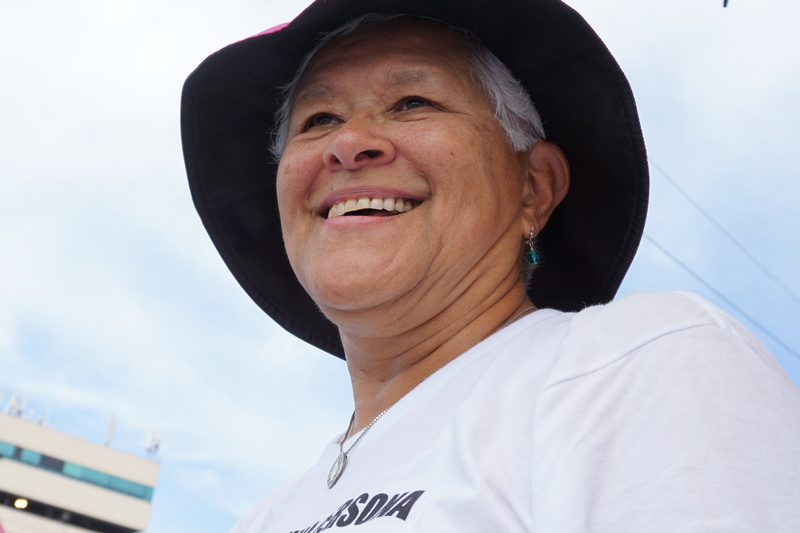 O’Dowd’s Beth Mueller smiles in the company of Salvadorans and others from around the world. That’s me, Jocelyn! At an impressive mural featuring Romero and his heart that continues to enflame works of justice throughout the world. 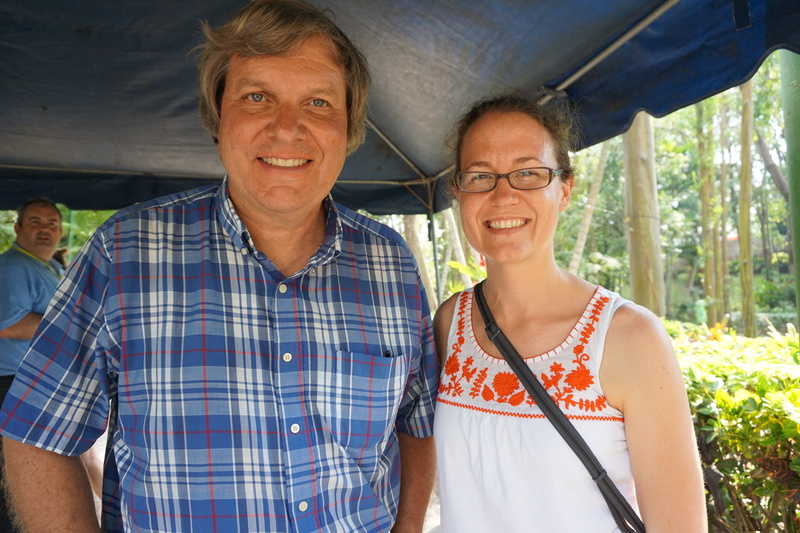 Published author and priest, John Dear with SHP’s Jessica Mueller as Jim Keane, SJ, editor at Orbis Books, looks on.